There is no better way to make your Saturday sweeter than eating yummy ice cream and forming new friendships! Come experience an interactive hands-on ice cream making session filled with bonding opportunities. Pick up basic skills in ice-cream making using easily available equipment and ingredients. Afterwards, relax and enjoy a delicious ice cream buffet with your new friends! 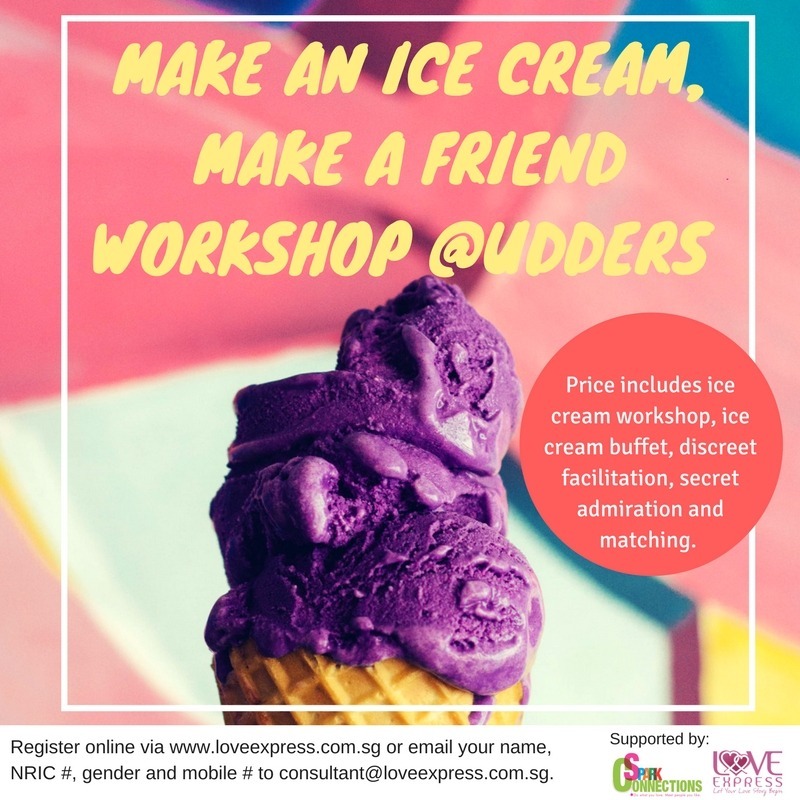 Price includes ice cream workshop, ice cream buffet, discreet facilitation, secret admiration (if there is a mutual match, contacts will be released to both participants) and matching.